When you visit Hirshfield’s paint color center, with over 5,000 colors from Benjamin Moore, Magnolia Home and Hirshfield’s Paints, the chances are great that you’ll find just the color you’re looking for. But, if that elusive color simply can’t be found, do not despair. Hirshfield’s can help. We’ve matched leaves from trees, flower petals, pieces of bark, rocks, a John Deere tractor and family pets (though usually from a photoghraph). One customer brought to the store grains of sand in an envelop from a beach. We matched that. We even had someone bring in a piece they had cut from a wall in the Bellagio Hotel in Las Vegas. We matched that, too, though we don’t encourage our customer to go to such lengths. Typically we’ll see a heat register to match a wall paint color; or a downspout to match a housepaint color; or a fabric swatch. 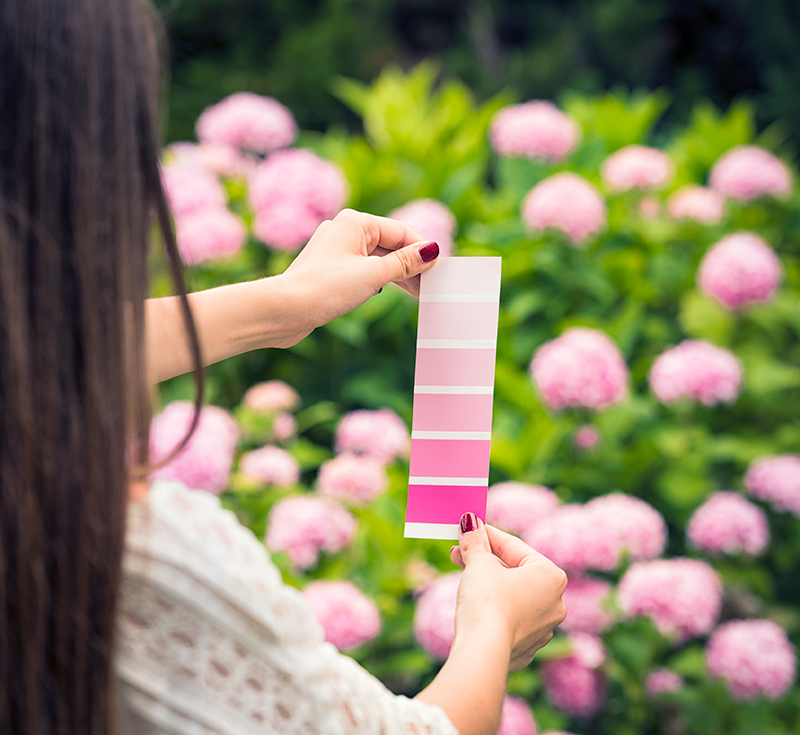 When coming up with a custom color, we’ll often start out with a reading from a specrtrophotometer. But when digital science doesn’t yield the desired result, the trained eye of a Hirshfield’s color expert usually does. We’ll come up with a custom paint formula that matches your expectations. Bring your color ideas and samples to Hirshfield’s. Please understand that custom color matching sometimes takes a day or more, so be prepared to leave your samples with us until your paint color is ready.